For 11 years the corner of Earl & Clovelly Roads was home to the infamous Parc Cafe, a small yet busy neighbourhood food stop. After witnessing a steady rise in takeaway sales and the feeling that it was time to shake things up in order to re-engage existing patrons and lure new customers, owners Michael & Sam Kern decided to close their doors and relaunch under a new name... and so Tucker was born. The brand I designed for Tucker aimed to represent the revitalised food offering of 'grab-and-go' with a strong focus on how this identity would work across an array of packaging as much of the menu would be served in take-away recyclable containers. 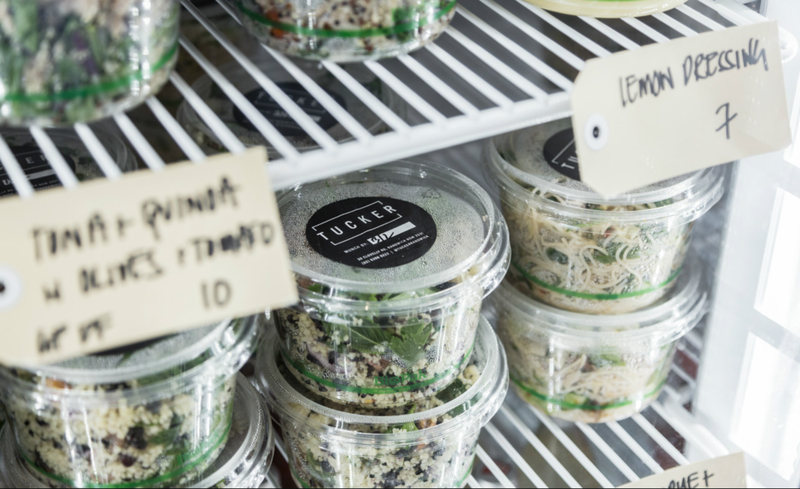 The successful launch of the new brand has seen Tucker forge its place as one of the top eateries of the Eastern Suburbs leading with a strong, recognisable and confident brand presence.